It's one of the many powerful moments in the series, which debuted three of its episodes at the Sundance Film Festival this past weekend. Hosted by Anishinaabekwe dancer Carson-Fox and directed by Métis/Algonquin Toronto filmmaker Michelle Latimer — both activists — the Viceland-produced series takes us to the front lines of global Indigenous resistance at a moment when that fight could not feel more crucial. "They're not just Native issues — they affect everybody," she says. "Our water's not for sale; our land is not for sale. We were the original stewards of that land, and we have to be able to protect it." Latimer and Carson-Fox also both urge artists to do whatever they can to play their own role in helping the resistance. Latimer and Carson-Fox are enjoying that profound moment themselves at Sundance, where dozens of people from the series joined them for the premiere. "At a certain point, somebody said to me, 'It looks exactly like the lobby of the Prairie Knights Casino,' which is the casino in Standing Rock," Carson-Fox says. "And it did. It felt like we had been transported from Standing Rock to Sundance. And when I looked around, I saw all the same people I saw at Standing Rock except in a very different environment. So for me that was a really insane and beautiful way to open the series." Rise debuts on Viceland on January 27th and will screen at TIFF on February 1st in a program called Standing With Standing Rock. 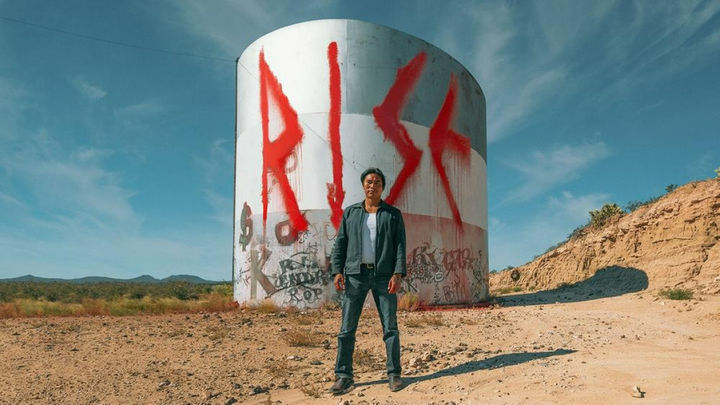 Latimer will join Jesse Wente, TIFF's Director of Film Programmes, for an onstage conversation about the making of the series, Indigenous resistance, the fight for sovereignty and the importance of documenting activism and protest. Responses to "New TV series on indigenous resistance feature Standing Rock"
We need more truth in television. Help this generation to understand please.